Adam Allington covers the pesticide industry for Bloomberg Environment. 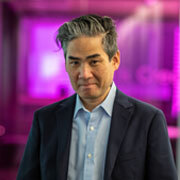 Prior to coming to Bloomberg in 2016, he spent over a decade as a public radio reporter, most recently with American Public Media’s Marketplace. Adam holds a bachelor’s degree in economics from Kalamazoo College. He was also the recipient of a 2012 Knight-Wallace fellowship at the University of Michigan where he studied urban redevelopment. 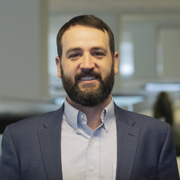 Dylan is a managing editor for Bloomberg Environment, overseeing coverage of water pollution control, workplace health and safety, and corporate sustainability. 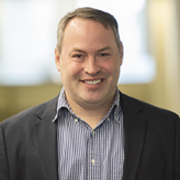 Dylan also coordinates thought leadership efforts at conferences and events, and through publication of practitioner-contributed content. He has a bachelor's degree in English from the University of North Carolina - Asheville, a JD from the University of Florida, and is a member of the North Carolina Bar. 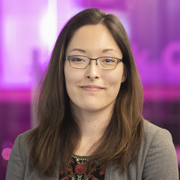 Susie is an editor with Bloomberg Environment and the main coordinator for Insights contributions. 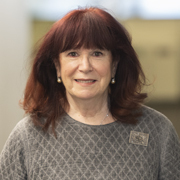 She has spent several decades in the water arena, first as the water reporter for BNA’s environmental publications and later as the director of legislative and public affairs for the National Association of Clean Water Agencies. 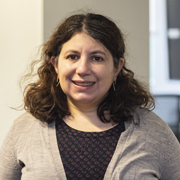 Susie has a bachelor’s degree in journalism from the University of Missouri at Columbia and a masters degree in environmental policy and science from Johns Hopkins University. Sylvia is a reporter at Bloomberg Environment who covers the Environmental Protection Agency’s Superfund program, the agency’s Science Advisory Board, and pipeline safety. She got her start in environmental reporting covering the impact of deadly World War I-era chemical weapons buried in one of Washington, D.C.’s most affluent neighborhoods. She previously wrote for The Washington Post, Washington D.C.’s NPR station, and the Frederick News-Post in Maryland. Sylvia graduated from American University with a bachelor’s degree in journalism. 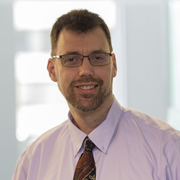 Steven is a senior editor for Bloomberg Environment covering federal and state compliance obligations under the Federal Water Pollution Control Act and Safe Drinking Water Act. Previously, he reported for Bloomberg Environment on climate change and air pollution policy implemented by the Environmental Protection Agency and other federal agencies. 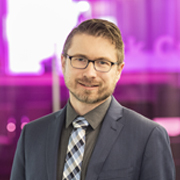 Steve has a bachelor’s degree in political science from the University of Michigan and a masters from the Medill School of Journalism at Northwestern University. Jean Fogarty is an editor at Bloomberg Environment and team leader of the international desk. 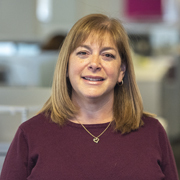 She previously worked as a copy editor at Atlantic Media Inc. after spending almost two decades as a copy editor at magazines such as Consumer Reports, W, American Lawyer, InformationWeek, and Building Management Hawaii. 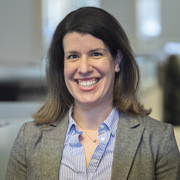 Becca is a senior legal editor for Bloomberg Environment covering legal and regulatory developments related to domestic and global EHS issues, with a primary focus on toxic chemicals. She has a bachelor’s degree in history and professional writing from Carnegie Mellon University and a JD from The George Washington University Law School. She is a member of the District of Columbia and Maryland Bars. Steve leads Bloomberg Environment’s chemicals and pesticides team and recruits Insights pieces from outside writers. An award-winning reporter and editor for 14 years, he also worked as an environmental consultant for seven years supporting EPA, the Defense Department, and professional societies and health foundations. His areas of specialization include environmental health, science policy, and risk assessment. He has degrees from the University of Michigan and Johns Hopkins University. 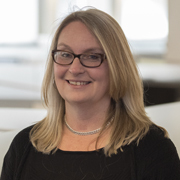 Mary Ann is a deputy editorial director for Bloomberg Environment, overseeing coverage for key products and directing the editorial team responsible for analyzing EHS laws and regulations. She also coordinates thought leadership efforts at conferences and events, and through publication of practitioner-contributed content. Mary Ann also assists with new product development. She has a bachelor's degree in political science from American University and a JD from Widener University School of Law. Mary Ann is a member of the District of Columbia Bar. 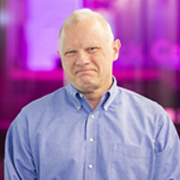 Greg oversees all the news operations for Bloomberg Environment. He previously oversaw international environmental coverage at BNA. 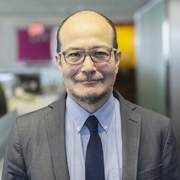 In a long journalism career, he has worked at publications including NPR, Discovery.com, and the Associated Press, where he built the multimedia team in the AP Washington bureau. He is a graduate of James Madison University. Stephen is a reporter at Bloomberg Environment who covers mining, fossil fuel power generation, offshore and onshore oil and gas drilling, endangered species, and the Department of the Interior. He previously covered Silicon Valley, telecommunications, labor issues, and Canadian politics. Stephen graduated from the University of Toronto with a degree in English Literature. Bobby covers energy for Bloomberg Environment and is president of the Society of Environmental Journalists. Previously, he was a senior science writer for Climate Central in New York and covered environment, energy, and public lands for newspapers in Colorado and New Mexico, including the Fort Collins Coloradoan; the Daily Sentinel in Grand Junction, Colo., and other regional publications. Born and raised in Charleston, S.C., he graduated from the College of Charleston in 2001. Pat is senior chemicals reporter at Bloomberg Environment, where she covers chemical regulations, policy, and the science that can affect both. She previously wrote for Environmental Health News, Recreation News, and the Potomac Gazette. 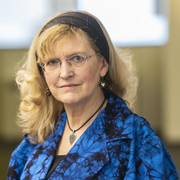 She graduated from Juniata College with a bachelor’s degree in social issues and communications and took science writing classes at Johns Hopkins. 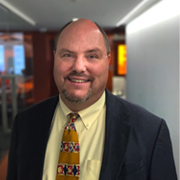 Tod is a senior legal editor for Bloomberg Environment covering federal and state solid and hazardous waste programs, and environmental due diligence in commercial real estate. 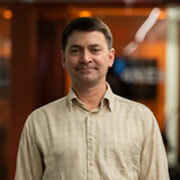 Previously Tod was a legal editor for Daily Environment Report and the Occupational Safety and Health Reporter. He has a bachelor's degree in government from Cornell University, a JD from American University's Washington College of Law, and a master's degree in journalism from American University's School of Communications. He is a member of the District of Columbia Bar. David is a reporter at Bloomberg Environment who covers water issues. He also hosts the environmental policy podcast, Parts Per Billion. 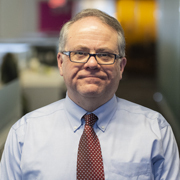 He previously covered local news in the D.C. region for WAMU-FM, the local public radio station in Washington, and for Connection Newspapers. David is a graduate of the University of Arizona and has a master’s degree in journalism from American University. 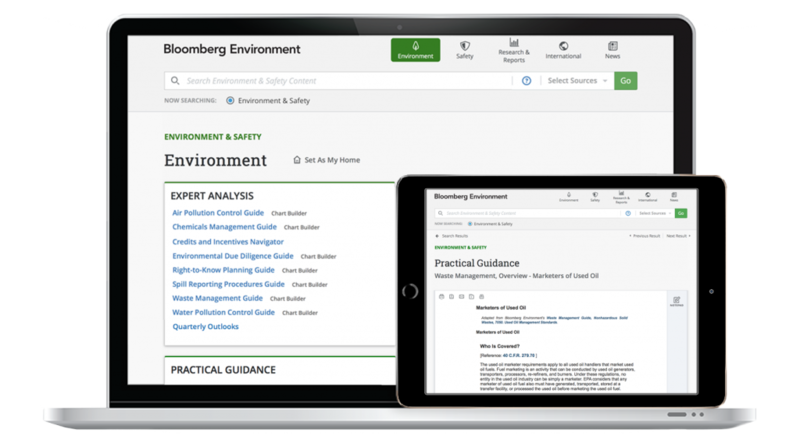 David is a senior legal editor for Bloomberg Environment covering occupational safety. 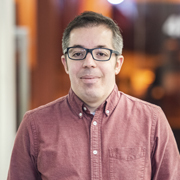 Previously, David has worked as a reporter, copy editor, managing editor, and photographer covering local and national news. For Bloomberg, he has written about labor, international food regulation, international telecom, and accounting. David has a bachelor’s degree in English from Franklin and Marshall College and a JD from Indiana University. He is a member of the Illinois and District of Columbia bars. Abby reports on climate policy and the Environmental Protection Agency for Bloomberg Environment. Her coverage includes the EPA’s greenhouse gas regulations, climate legislation on Capitol Hill, and climate science. Previously, she worked at Inside EPA newsletter, covering many of the same issues for the publication’s climate site. Abby graduated from Lehigh University with a degree in journalism and political science. She is a native of the Washington, D.C. area. John is a senior legal editor for Bloomberg Environment covering federal and state environmental jurisprucence. John earned a bachelor’s degree in political science from the University of Wisconsin – Madison and a JD from Case Western University. He is a member of the Maryland Bar. 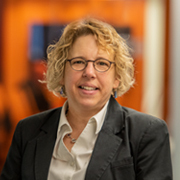 Beth is a senior editor with Bloomberg Environment covering federal and state right-to-know laws. Previously, she was a technical translator. Beth has a bachelor’s degree in romance languages and secondary education from the University of Washington. 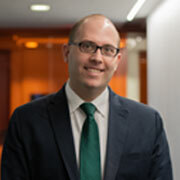 Rob is a team leader at Bloomberg Environment, where the news teams cover Congress, as well as federal, state, and international developments on energy, climate, pollution, and chemicals. He previously covered financial regulation at Bloomberg BNA. Rob has a master’s degree in journalism from the University of Maryland and a law degree from Cornell. 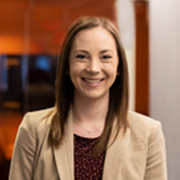 Charlotte is a lead editor with Bloomberg Environment covering occupational safety and health issues at the federal and state level. Previously, she was a reporter and editor with The Nation’s Health, reporting on public health trends. Prior to that, she covered pipeline safety, hazardous materials transportation and solid waste for BNA’s Daily Environment Report. Charlotte has a bachelor’s degree in communication from the University of Pittsburgh and a master’s degree in journalism and public affairs from American University. 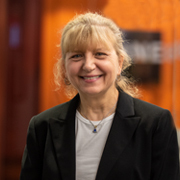 Janet is the Editorial Director for Bloomberg Environment, overseeing key products including the flagship research platform as well as regulatory, policy and compliance tools. Previously, she was the Director of Business Analysis for Bloomberg BNA’s Product Research & Development department. Janet has a bachelor’s degree in journalism and political science from Syracuse University and a JD from New York Law School. She is a member of the New York and New Jersey Bars.